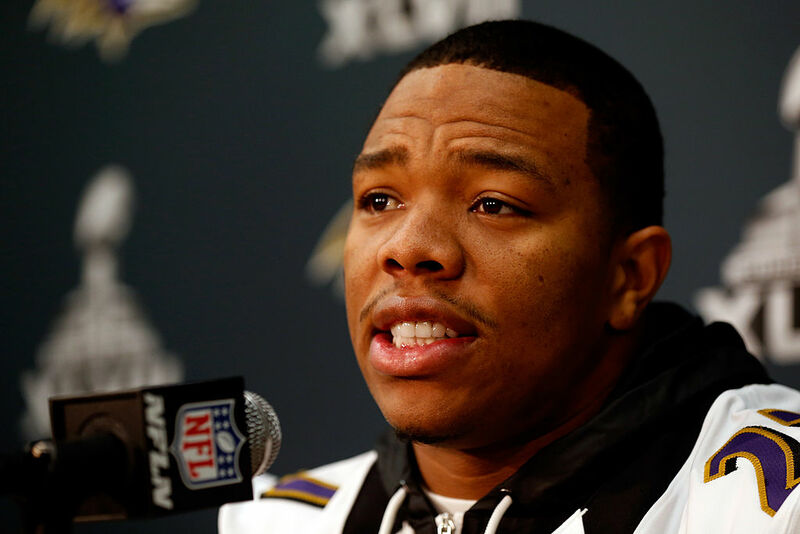 Ray Rice hasn't played in the NFL since the 2013-14 season. At that time, he had become one of the best backs in the league, feared for his quickness, toughness, strength, and low center of gravity. But in February of 2014, everything changed. The short version of the story is this: he knocked his then fiancée out cold in an elevator in Atlantic City, an event which was caught on camera and leaked to the public. A long, drawn out procedure began, which included a defense of Rice by the Ravens, a two-game suspension by the NFL (which caused calls for Commissioner Roger Goodell to resign because of its leniency), a revision of the NFL's domestic violence policies, and more. In May, Rice was accepted into a pretrial intervention program reserved for first-time offenders which allowed him to get off without jail time and attend personal counseling sessions. Then, in September of 2014, a new video was released, which showed the incident in greater detail. This led to the Ravens cutting him from the team and the NFL suspending him indefinitely. Finally, in November 2014, Rice won an appeal against the indefinite suspension and was reinstated into the NFL. Despite his reinstatement, no one has wanted to sign him to this point. Rice told USA Today that if he makes it onto an NFL roster, he will donate his entire salary to raise awareness for domestic violence issues. "All the scrutiny that I've got, it was deserved, because domestic violence is a horrible thing," said Rice. "Me donating my salary is something that'll be from the heart for me. I only want to play football so I can end it the right way for my kids and for the people that really believed in me. But I know there's a lot of people affected by domestic violence, and every dollar helps. It's raising awareness." Rice, who played 6 seasons in the NFL prior to the incident, would make a minimum of $885,000 this season if he were signed. Though this is a far cry from the approximately $13 million he made in his final season in the NFL, it would still go a long way in helping organizations that are working toward ending domestic violence. It would also bring a huge amount of publicity to the cause. "The only way to fix the problem is awareness," said the three-time Pro-Bowler. "It's an epidemic. I know that my situation raised awareness. I'm not thankful for being that guy, but I'm thankful for the people that now are not afraid to ask for help, because I had to go get the help myself after to realize the severity of what domestic violence is." It's difficult to say how it would be seen by the general public if an NFL team were to sign Rice at this point. It could easily be taken as a lapse in judgment, a publicity stunt by the NFL or whatever team signs him, or a move of goodwill both in forgiving Rice for his is errors and in helping raise awareness and money for a cause in need of both. So far, though, it seems unlikely that we'll ever find out.